There was the long wait, the belated nomination, the vicious back biting and the surprisingly gracious induction. Now that Kiss is in the Rock and Roll Hall of Fame, however, it’s time for Ace Frehley to get back to work on a solo album. 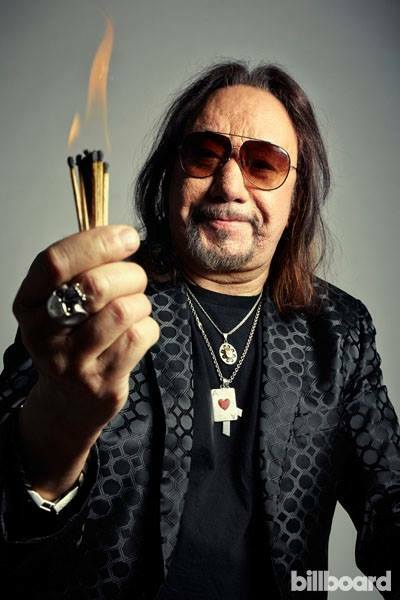 The forthcoming Space Invader, due on June 24, 2014 via eOne Music, is Frehley’s first since 2009′s Anomaly — which shot to No. 27 on the Billboard album lists, the guitarist’s highest-charting project since his platinum-selling 1978 eponymous debut. Otherwise, Frehley has given few other details about the new recording, save for a note on his web site from last month mentioning a cover of 1973′s “The Joker,” a Steve Miller Band favorite. Frehley issued a trio of albums in the 1980s, with the biggest hit among them being 1987′s Frehley’s Comet. He was with Kiss from 1973 until 1982, and then again from 1996–2002.